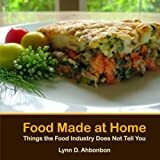 Ms. Lynn D. Ahbonbon has worked as a strategic planning consultant at a large automotive corporation and a small business consultant and entrepreneurship lecturer for over a decade. For the past 15 years, she was president of an economic development corporation providing entrepreneurship and healthy living education to over 10,000 people annually. Her work has been recognized by government officials, large corporations, and the media. She received numerous awards for her achievements. Today, she is a book author and publisher of self-improvement books in entrepreneurship, healthy living, and worldly food. After being faced with three young relatives who had cancer, she has a clear mission: To help people live a healthy life and achieve their financial dream. 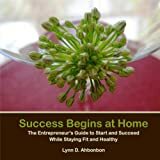 Her Success Begins at Home (The Entrepreneur’s Guide to Start and Succeed) book, received an excellent industry review. 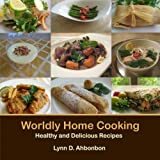 Her Worldly Home Cooking and Food Made at Home books invite readers to try healthy international dishes and help them be aware of toxins in food that the food industry does not reveal. Her books are available at major bookstores worldwide and at www.ahbonbon.com in both eBook and paperback. Ms. Ahbonbon has traveled the world to visit more than 30 countries, lived in France, Germany, South Korea, Vietnam, and the United States. She speaks French, English, and Vietnamese fluently. Her passion has been cooking and inventing new healthy recipes since she was ten. She attended college in the United States and received a BS and an MBA from the University of Southern California (USC). Her books are available in Ingram catalog - Book for sale at major bookstores worldwide.